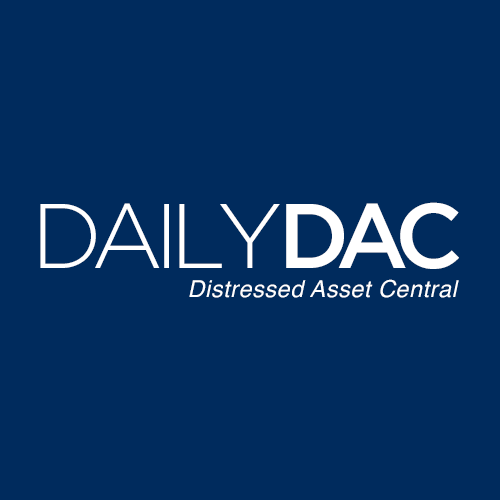 SALE OF ASSETS: Notice is hereby given that on Wednesday, April 24, 2019 at 2:00 pm, CDT (the “Date of Sale”), in the offices of Rally Capital Services, LLC, 350 North LaSalle St, Suite 1100, Chicago, IL 60654, Howard B. Samuels, not individually, but solely as Assignee for the Benefit of Creditors (the “Assignee“) of AC Brett Equipment Corporation d/b/a Brett Equipment Corporation (“Brett Equipment”), shall hold a public auction to offer for sale substantially all assets of Brett Equipment (collectively the “Sale Assets”). The deadline to submit a bid, as stated below, is noon CDT on April 23, 2019.
all intangible property, including but not limited to, all contract rights and interests, all intellectual property including, without limitation, copyrights, trademarks (common and registered), trade names, service marks, service names, licenses, patents, permits, websites, domain names, email addresses, proprietary information, technical information and data, electronic systems and processes and other similar intangible property rights and interests, computer software, telephone/fax numbers and telephone listings (to the extent assignable), trade accounts receivable, open orders, prepaid expenses, promissory notes, all possible causes of action, contingent and unliquidated claims, filed and not filed choses in action and goodwill. The Sale Assets are more fully described in the APA (defined below). As Is – Where Is. The Sale Assets sold or to be sold are being sold as a single lot “As Is” and “Where Is” and with no express or implied warranties, representations, statements or conditions of any kind, including but not limited to the warranties of merchantability or fitness for a particular purpose and are to be sold in accordance with the terms and provisions set forth above. Assignee is not transferring or selling any leased property, whether real or personal, whether evidenced by a true lease or a capital lease (unless the capital lessor so consents). Reservation of Rights Regarding the Sale. The Assignee reserves the right, on or prior to the Date of Sale, to modify, waive or amend any terms or conditions of the sale or impose any other terms or conditions on the sale, and, if the Assignee deems appropriate, to reject any bids or continue the Auction (whether for all of the Sale Assets or separate lots) without prior notice. Stalking Horse APA. On April 11, 2019, the Assignee received and accepted an Asset Purchase Agreement (“APA”) from an unrelated third party purchaser (“Purchaser”), for the Assignee’s right, title and interest in and to the Sale Assets (the description of the assets being purchased is set forth in detail in the APA), in a single lot for $255,000; plus the assumption of certain of Brett Equipment’s obligations pursuant to the APA; plus all interim advances which are estimated to be approximately $30,000 (“Interim Advances”) advanced by the Purchaser to operate the business from April 10, 2019 through the Date of Sale (collectively the “Purchase Price”). The final purchase price will be determined prior to the Sale. The APA will be subject to the Assignee’s right to receive a higher and better bid from a qualified purchaser at the Auction. How to Qualify to Bid. To be a qualified purchaser, a party must, no later than noon CDT on April 23, 2019, submit to the Assignee a cash deposit via wire transfer or cashier’s check (the “Deposit”) in the amount of $20,000 and a fully executed offer (“Subsequent Offer”). Any Subsequent Offer from a qualified purchaser must include all of the terms and conditions set forth in the APA except that the offered price must equal the sum of: (i) the Purchase Price plus $25,000; plus the value of assumed liabilities under the APA; plus all Interim Advances. The Assignee further reserves the right to determine the qualifications of any bidder, including the ability to close the transaction on the terms and conditions referenced herein. Auction. All bidding for the Sale Assets shall be conducted by auction (the “Auction”) in the same room with the identity and bid terms of all bidders fully disclosed and on the record as recorded by a court reporter. All subsequent overbids shall be at least $10,000 greater than the then-prevailing bid in the Auction. At the conclusion of the Auction, the Assignee shall declare on the record which bid has been declared the highest and best bid accepted and shall recite the terms of winning bid into the record with the concurrence of the prevailing bidder. The balance of the purchase price must be paid to the Assignee within 48 hours after the Auction. If the successful bidder fails to pay the balance of its successful bid, then its Deposit will be forfeited and the Assets may, at the Assignee’s option, be sold to the next highest bidder without prejudice to or waiver of the Assignee’s rights and remedies against the defaulting highest bidder. The Assignee reserves the right to adjourn the Auction from time to time without further notice except as announced at the Auction. Every qualified purchaser who participates in the Auction, including the Purchaser, shall be deemed to accept the terms and conditions provided for herein as well as the APA and have agreed to these terms and conditions.